This week is another people's choice at i heart faces - we get to be the judges! Make sure you head over to their website later in the week to vote for your favorite. We are supposed to show off our favorite face photo from February. 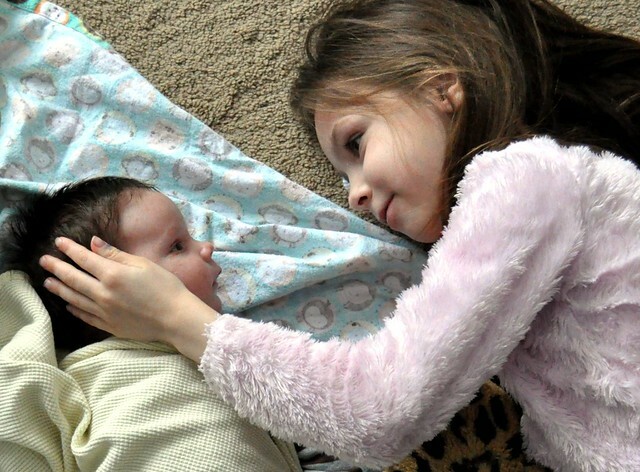 This photo is a favorite because it perfectly captured the love between Rachel and her baby brother. unbelievably priceless. i love it. I love the eye contact! So precious! Just love the emotion here! What wonderment in the baby's eyes and what love in the eyes of the sister! This is such a sweet moment - I love it! oh. This is so very, very sweet. Melt my heart adorable! You captured a magical moment. Oh wow this is so precious! what a sweet moment you captured! What an amazing capture! Wonderful.